Yoga is a set of physical, mental and spiritual practices that brings us, over time, to improve the well-being of the body, cleanse the mind and find calm. It’s a discipline that allows you to become aware of the body, observing it from angles that we usually consider uncertain; it’s a space of inner observation, where movement and breath combine togheter, guiding us in the physical and psychic needs and potentials, in order for everybody to understand and improve themself. Ashtanga derives from the “Yoga Sutras” of the philosopher Patanjali (about 300 BC) and means Yoga of the eight branches. These eight steps guide us in our yogic path: Yama discipline / moral code, Nyama personal discipline, Asana postures, Pranayama breath control, Pratyahara withdrawal of the senses, Dharana concentration, Dhyana meditation, Samadi universal consciousness. Ashtanga Yoga is a method, founded and passed down by S.K. 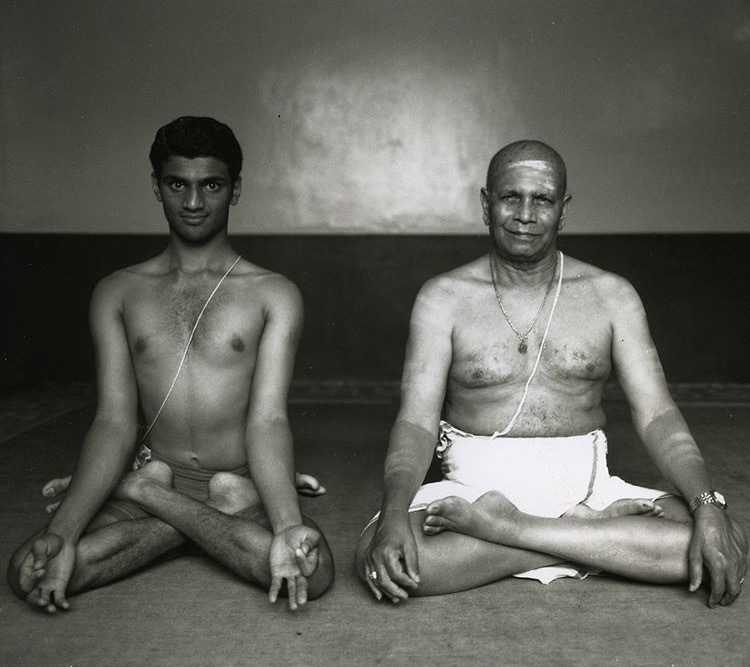 Pattabhi Jois (1915-2009) and his nephew S.R. Sharath Jois, whose characteristic is the synchronization of breath with movement (Vinyasa) in a progressive series of postures (Asana), according to a certain breathing (Pranayama). 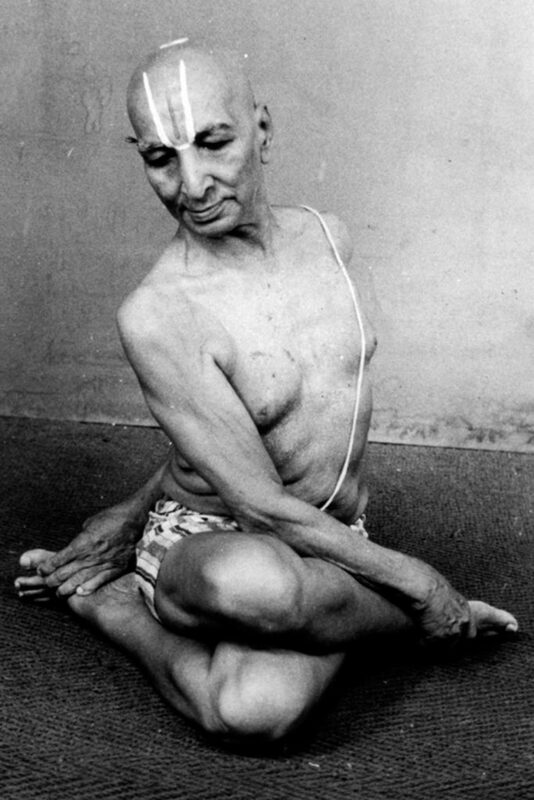 The Ashtanga Vinyasa system originates in ancient texts and then transmitted to the modern world by Shri T. Krishnamacharya. In the system taught at KPJAYI in Mysore, India, the practice of postures and breath is articulated in six sequences that vary in difficulty and benefit. The beginner starts building the First series (Yoga chikitsa or yoga therapy), which makes the mind and body strong and balanced. The Intermediate Series (Nadi Sodhana) intensifies the work of the previous one, working on the Nadi, energy channels where nerve impulses are transmitted. The Advanced Series A, B, C, D, (Sthira Bhaga) work deeper and deeper, making the practitioner strong, balanced and with open mind and body.The practice of these sequences is build on three aspects called Tristhana: concentration on posture (asana), breathing and focusing of the gaze (dristhi). The heart of this practice is the breath, continuous and deep, which guides us in a flow, which gives life to movement and postures. By doing so, slowly the body, cleaned up, will become strong, light and flexible and at the same time the mind will calm down, becoming stable and concentrated.